The educational project of the Palau de la Música Catalana is a comprehensive programme in a constant dialogue with the Palau concert programme and its heritage. Its aim is to consolidate an educational project of its own by fostering public participation across generations, interaction with other disciplines, training and interaction with the musical programmes of the Palau itself and promotion of its artistic heritage. In line with the criteria of excellence, the central role of the choirs, Catalan identity and attention to contemporary music, two specific programmes are run: one for families and the other for schools. 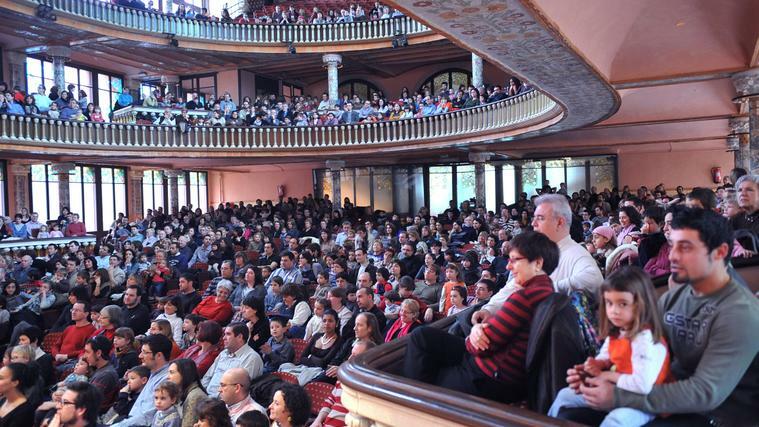 At the same time, initiatives such as "Parlem de música" ("Let's Talk About Music") in the Palau 100 season are consolidated and extended with the publication of educational follow-up material, association with activities in the city or the participation and commitment by regular Palau artists to activities prior to concerts aimed at getting audiences involved.